- Grill the hamburger buns on the inside. - Place the lower hamburger bun on a clean plate. - Place a slice of tomato on the lower bun. - Add a few sliced dill pickles on top. - Cook the egg on both sides, and place it over the tomato. - Optionally, add prosciutto and parmesan. This Italian twist gives the recipe a fresh flavor. - Add a leaf of lettuce. - Add some ketchup and/or mustard if you please. - Finally, top everything with the upper hamburger bun. - Serve before it gets cold. 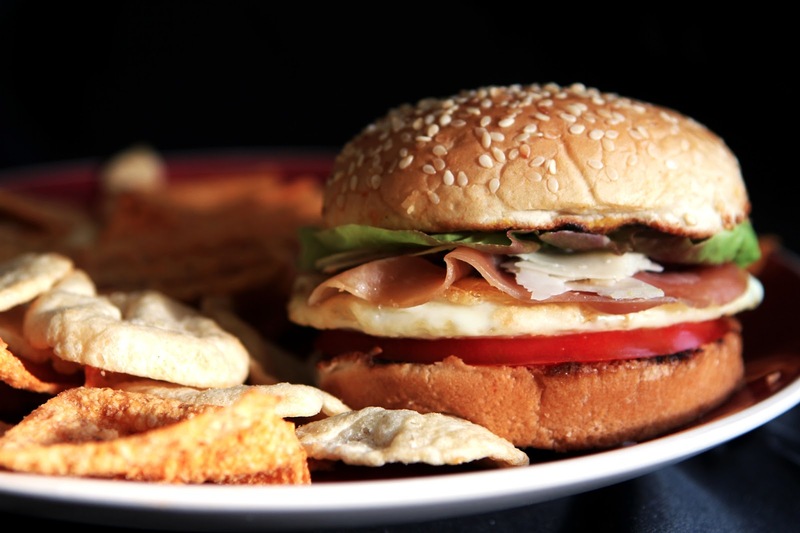 - Surround the eggburger with colorful potato chips.